WOW! I had 116 entries in my giveaway! 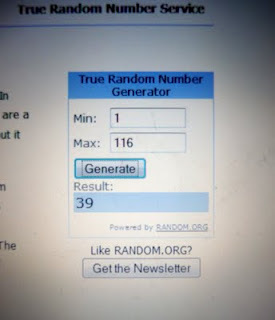 Thanks so much for entering!and with out further ado…The winner is #39… Steph!Congrats on winning a night out of your kitchen!I will be contacting you to get your address to send you your prize!Thanks again to all that entered and for all of your support and be on the lookout for my next giveaway! Wow I am about to have a field day on your site. I am currently bookmarking the cheesy enchilada and crockpot enchilada recipes. Awesome! Thanks for stopping by my blog! I'm here returning the favor, and am your newest follower. Hi, thanks for stopping by my blog (Soulful Sandstone)from the blog hop. I am your newest follower.